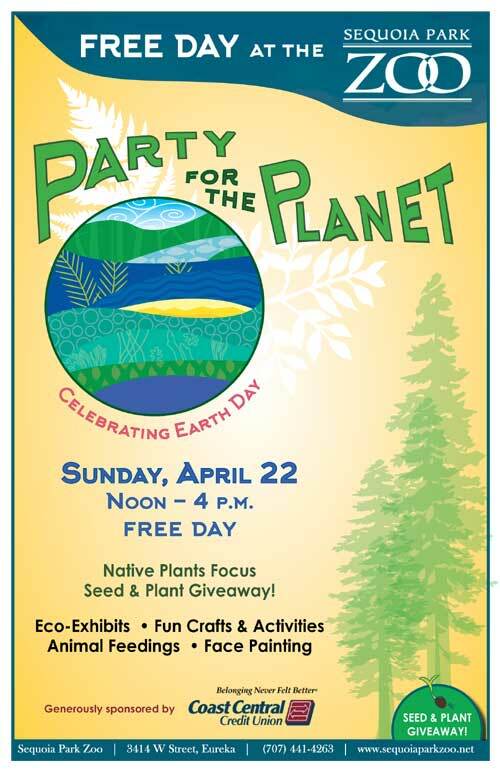 Sequoia Park Zoo is hosting a Party for the Planet, on Sunday April 22nd. A FREE Community Day being sponsored by Coastal Credit Union. The Zoo has partnered with local Humboldt County community organizations as well conservation groups to inspire and educate both young and older citizen to be better caretakers of the planet. They will have fun eco-exhibits, crafting activities, learn about native plants, enjoy animal feedings, and see conservation in action. There will also be Free native plant and wildflower seed giveaways while supplies last. And have an opportunity to make a personal commitment to the future of the planet with a written pledge on the Pledge Tree.